Duke Traps - Are They Any Good? Duke traps have been in production since 1986 but the company was originally established in 1938 as a local Pecan and Fur Skin merchant business. Over the years Duke has expanded it's product line and they offer over 30 different models of coil spring traps, long spring traps and body gripping traps. Okay.....so the company is big and they offer a wide selection of traps but does that mean they're the best trap company? A majority of people choose Duke because of their price. Most trap models or styles are about 30 percent cheeper than a similar trap produced by a different manufacturer. The exceptional value and large trap selection makes Duke a leader in the trapping industry, but do they offer a quality product? I think so.....and so do many others! The first trap I ever purchased was a Duke. I decided on Duke mainly because of the price but I had several friends who used them at the time and they were pleased with the results. Now, many years later these traps still work and I still use them today. Are there better quality traps on the market? Yes, but you will pay more for them. Another great thing about Duke is that you can buy them almost anywhere. Local hardware stores and outdoor companies stock the traps. Although it's often cheeper to buy the traps online, you can still pick one up in your hometown if needed. I also own a couple Duke live traps that are at least 12 years old. They perform just as well as my more expensive Havahart live trap and they were a lot cheeper. I think just about every neighbor of mine has borrowed them at one time or another and I haven't heard any complaints yet. Duke seems to be a company you either love or hate. If you have had a bad experience with them in the past chances are you swear you'll never own another one. The traps are also produced over seas which causes concerns for those who only purchase products made in America. In the end everyone will have a different opinion about traps....just like we do with cars or guns or chainsaws. 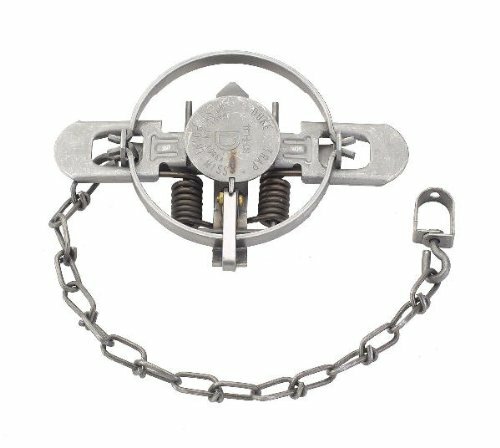 If you're in the market for some new traps I say give Duke traps a try and decide for yourself if you like them or not.